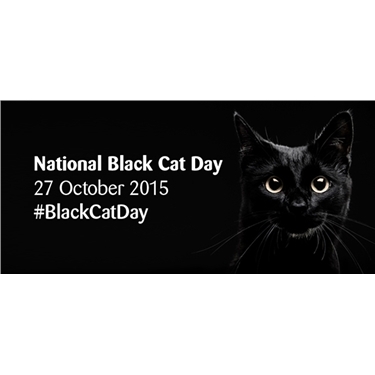 National Black Cat Day 2015 takes place on 27 October – how will you get involved? Did you know that, on average, it takes a monochrome moggy 13 per cent longer to find their new home than a more colourful cat? That’s one week longer in care, simply because of the colour of their fur! We’re bigging-up black cats with this year’s National Black Cat Day – let’s show the world what amazing pets black (and black-and-white) cats are and help find them homes faster!